According to the 2014 Census, 85% of the people living in the atolls drink unsafe/untreated water. 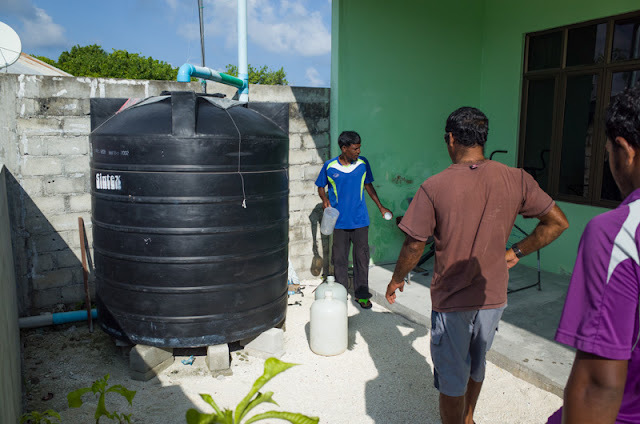 Even though 100% households in the capital Male' are provided with treated piped water, the islanders depend on rainwater. In addition to the main source of drinking water, there are many other socioeconomic indicators that show the Regional Disparity in the Maldives. Regional disparity means unbalanced spatial structures in some region or in different regions. Regional disparities are manifested in different conditions of life as well as in unequal economic and development potential. A good example of spatial disparity is the contrast between urban and rural areas. You can tell us more about your opinion with regard to Regional Disparity in the Maldives. You may fill the questionnaire below. If you find it inconvenient to fill the form below, you may alternatively go to the Online Questionnaire here instead.